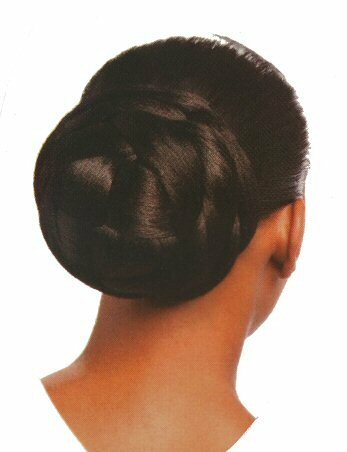 Basic Hair Buns are artificial hair pieces designed to be attached at the back of your head over your own bun. You will need a rubber band to tie your own hair into a small bun, then put the Basic Hair Bun over it and secure it with U type hair pins. (usually around 10). 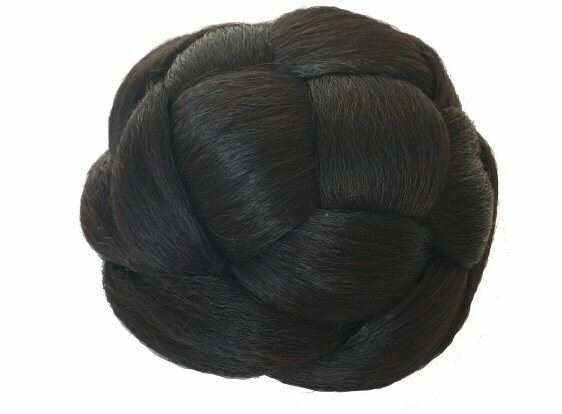 Basic Hair Buns can be supplied in a choice of 3 colours: Black, Nearly black and Dark brown. Delivery times: Approx 1 week depending on destination. Available in three colours and two sizes: Diameter 9cm or 12cm. 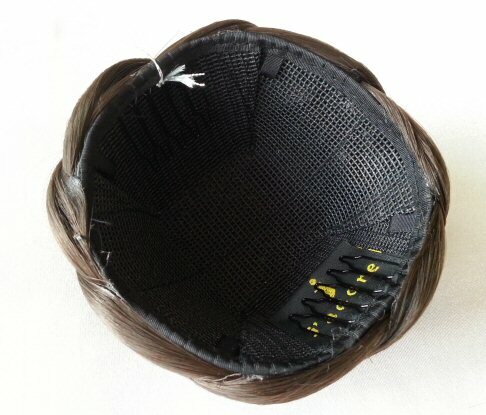 The photo shows colour Nearly Black. The model is wearing Diameter 12cm.